I used this super cute image from Your Next Stamp called Feather Duster Ellie, along with a sentiment from the same set. Don't you just love her?! The dp is a combination of Simple Stories Fabulous and My Mind's Eye The Sweetest Thing Lavender. The layout is this week's Deconstructed Sketch #66. We hope you'll play along with us this week! Just link your creations to the Color Throwdown Blog HERE, and check out the rest of the amazing DT samples while you're there! So cute! 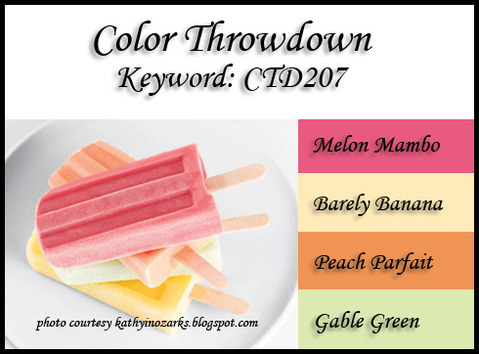 Fab coloring,great LO - it all really ties in the colors so well. So cute! Your coloring is gorgeous! Hee hee this is so stinkin cute! You're right...the paper is just right and your little Ellie is SO cute!! Great card, Kerri!! So beautiful card Kerri,I love the image and the colours. 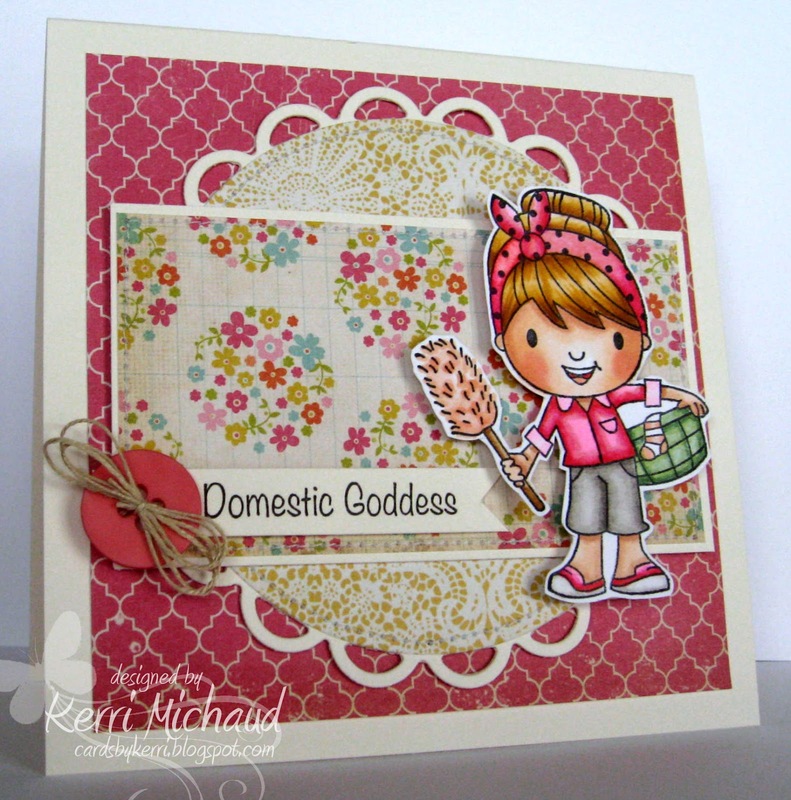 Love that title "domestic goddess"...such a sweet card and great papers! How cute is this!!!!! Little Ellie is absolutely adorable, Kerri, and what gorgeous coloring!!!!! This is too cute, Kerri! Love how you colored the image. OMGosh, that image is too stinkin' cute Kerri, and I love how you used these colors! Oh how cute is that image and I LOVE the papers!! This is just too darn cute! Your Ellie image and the way you've colored her is adorable!